Sandra Carlborg can absolutely punish a golf ball. While most of us gladly would settle for 225 yards somewhere in the fairway, Carlborg, from Alingsås, Sweden, is accustomed to crushing her drives well over 300 yards and owns a record drive of 401 yards. 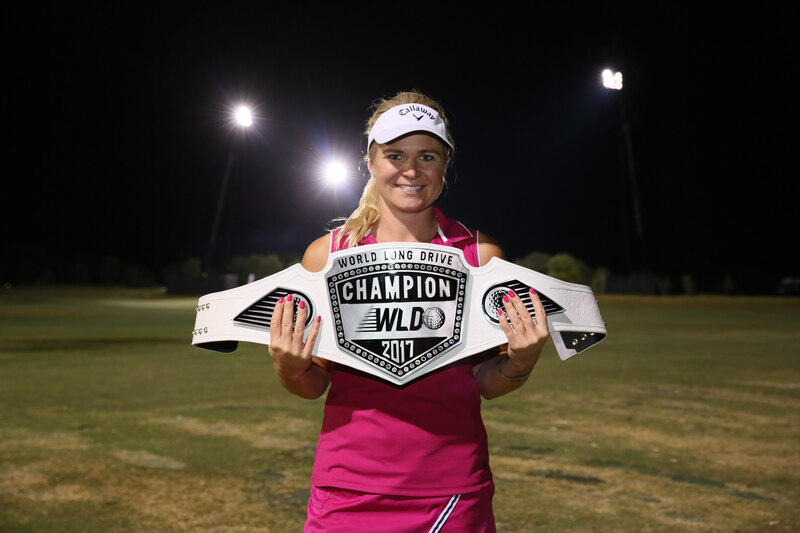 She also happens to be the owner of five World Long Drive championships, a sport that, thanks to The Golf Channel, is growing in popularity here in the States and across the globe. 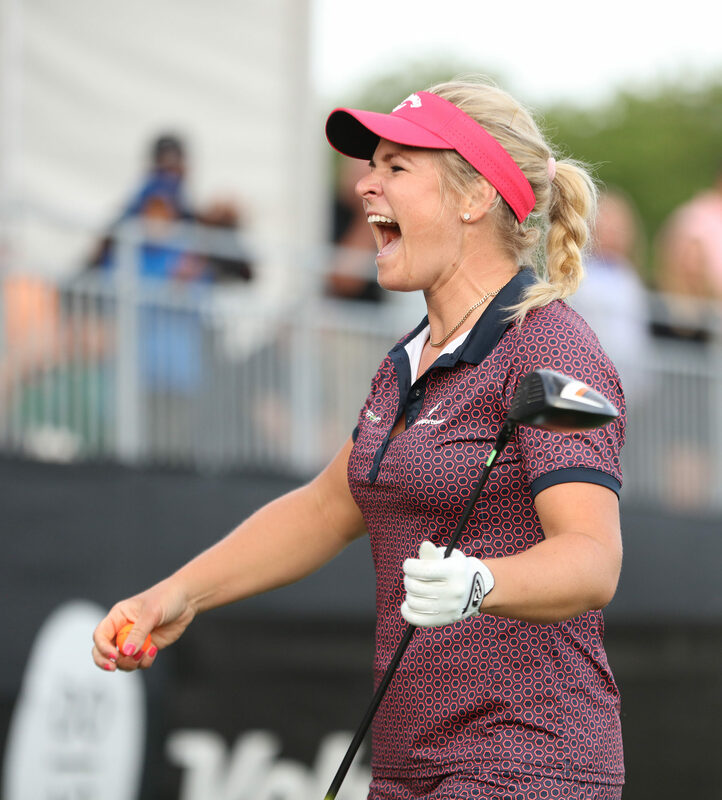 Carlborg checked in before heading to China for a tournament (a tournament that she won to cap her season) and shared how she got involved in the sport, its growth and how the golf course was the best babysitter when she was growing up in Sweden. Thanks for taking some time out of your schedule to chat with us. What have you been doing since the World Championship? We know you were hoping for a sixth World Championship title. Describe your performance and what it’s like to compete in that event. Yes! I’m terribly disappointed! I had back problems for two months during the summer and was forced to skip the tournament in Tennessee in August. I don’t say that’s the reason I didn’t perform as I wanted! My back felt good to go two weeks before and my last practice sessions before the Worlds; I felt in great shape! During the tournament, I just couldn’t find confidence to hit my best balls. I made it through the group play, but then in the quarterfinals, I hit seven OB [out of bounds] and the one I got in the grid was a total miss, 30 yards shorter than I had hit all day! That, so far, is my worst experience in a Long Drive event! Normally the pressure gives me more distance! Except from my performance, the World Championship week was great! My boyfriend and I arrived a week before it started. When we picked up my dad a few days later at the airport, my brother also came and that as a surprise! He is a former long driver, and we have traveled many years together to the Worlds when both of us were competing. One year, my dad was competing in the Legends Division, so we were 3 from the family! So, this year it felt like the old days! I started to play with my grandads, then my older cousins. My parents’ house is just by the 14th hole at the golf course, so that made it easy for me and my brother to just walk to the course. My mom jokes about that the golf course was the best babysitter when we grow up. Did you play any other sports growing up in Sweden? I did some track and field during a few years. I also did horse riding, but then the golf took all my time! My grandad always said I got my strong legs from jumping a lot on a trampoline as a kid. What made you decide to leave professional golf and start competing in long-drive competitions? I started competing in Long Drive in 2008, but at first it was just a hobby! I went to the World Championship once a year and it was a lot of fun! In 2015, I played my last European Tour event in regular golf. After I had played on and off on the tour for 10 years, I decided to focus full time on Long Drive. I played a few events at the lower Tour in Europe the year after and started to practice Long Drive and do exhibition days. Perfect timing for me when World Long Drive announced the schedule for 2017 with three televised event and then five this year. And it looks even better for next year! The sport has really grown and what the Golf Channel does for the sport is amazing with all the TV time! The sport is also growing globally with a tournament in China next week and the new organization IGANZ is planning for more stops around the World for next year! Could you have envisioned becoming a five-time World Champion? I was early dreaming about winning Majors and being in the top of the world in golf. I didn’t know about the sport Long Drive before I won my first event 2008. I won my 20th event this year in Atlantic City. So, winning five World Titles is far away what I ever dreamed about! When I played golf full-time, I found it very hard to be done with the practice! In my mind it was, “No matter how much and how many hours I practice, there is always someone that practices more.” Today, I know when I’m done for the day! When I see on my FlightScope that the number goes down, it’s time to stop and go to the gym! What is the farthest ball you’ve hit in competition? How about practice? 401 yards in a competition in Denver 2017. Before that I had the WR for eight years at 391 yards that I hit in a tournament in Sweden in 2009. I’m not sure about my longest ball in practice, but it’s probably not longer than that! You’ve described long-drive competitions as golf with a rock ‘n’ roll side. What do you mean by that? Its loud! Rock music is on and the crowd is wild at the stance! The adrenaline is high, so it’s absolutely rock ‘n’ roll!! 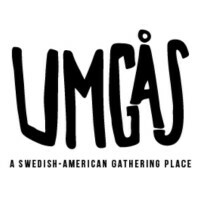 What are some of your favorite things about Sweden (food, traditions, places, drinks, books/movies, trends, etc.) that Americans should learn more about? It’s clean, we don’t put our trash on the ground. 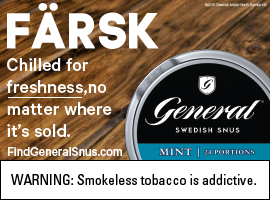 Sweden is healthy! It’s a lifestyle to eat fresh food and exercise! Then, I love our traditions midsummer at the end of June when we have flowers in our hair and everyone has midsummer parties when we sing and dance! Follow Carlborg’s success on her website, Facebook, Twitter and Instagram.